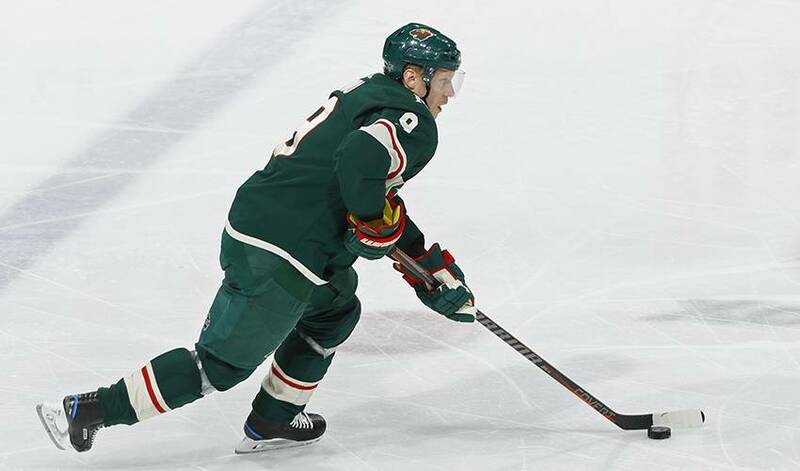 ST. PAUL, Minn. — Minnesota Wild captain Mikko Koivu will miss the rest of the season after tearing a ligament and cartilage in his right knee in an on-ice collision, a major setback for a team with a tenuous hold on a playoff spot. The Wild (26-22-5), who are in fourth place in the Central Division, currently hold the first wild card spot in the Western Conference, three points ahead of with one game in hand on Vancouver. They've taken only two of a possible six points since their bye week, though, and they've already been without defenceman Matt Dumba for almost two months because of a ruptured right pectoralis muscle near his shoulder. Dumba, who's still tied for fourth on the team with 12 goals despite his absence, might not return this season. This season, Koivu leads the Wild with 488 faceoff wins, which ranks 14th in the NHL. The Wild recalled centre Joel Eriksson Ek from their AHL affiliate in Iowa to fill Koivu's roster spot, in advance of their game Thursday night against Edmonton.